Stephanie George and Judge Roger Vinson had quite different opinions about the lockbox seized by the police from her home in Pensacola. She insisted she had no idea that a former boyfriend had hidden it in her attic. Judge Vinson considered the lockbox, containing a half-kilogram of cocaine, to be evidence of her guilt. But the defendant and the judge fully agreed about the fairness of the sentence he imposed in federal court. "Even though you have been involved in drugs and drug dealing," Judge Vinson told Ms. George, "your role has basically been as a girlfriend and bag holder and money holder but not actively involved in the drug dealing, so certainly in my judgment it does not warrant a life sentence." Yet the judge had no other option on that morning 15 years ago. As her stunned family watched, Ms. George, then 27, who had never been accused of violence, was led from the courtroom to serve a sentence of life without parole. "I remember my mom crying out and asking the Lord why," said Ms. George, now 42, in an interview at the Federal Correctional Institution in Tallahassee. "Sometimes I still can’t believe myself it could happen in America." Two of his collaborators, George L. Kelling of the Manhattan Institute and John J. DiIulio Jr. of the University of Pennsylvania, have joined with prominent scholars and politicians, including Jeb Bush and Newt Gingrich, in a group called Right on Crime. It advocates more selective incarceration and warns that current policies "have the unintended consequence of hardening nonviolent, low-risk offenders" so that they become "a greater risk to the public than when they entered." "We know that harsher punishments lead to less crime, but we also know that the millionth prisoner we lock up is a lot less dangerous to society than the first guy we lock up," Dr. Levitt said. "In the mid-1990s I concluded that the social benefits approximately equaled the costs of incarceration. Today, my guess is that the costs outweigh the benefits at the margins. I think we should be shrinking the prison population by at least one-third." Some social scientists argue that the incarceration rate is now so high that the net effect is "crimogenic": creating more crime over the long term by harming the social fabric in communities and permanently damaging the economic prospects of prisoners as well as their families. Nationally, about one in 40 children have a parent in prison. Among black children, one in 15 have a parent in prison. Ms. George was a young single mother when she first got in trouble with drugs and the law. One of her children was fathered by a crack dealer, Michael Dickey, who went to prison in the early 1990s for drug and firearm offenses. "When he went away, I was at home with the kids struggling to pay bills," Ms. George said. "The only way I knew to get money quick was selling crack. I was never a user, but from being around him I pretty much knew how to get it." After the police caught her making crack sales of $40 and $120 — which were counted as separate felonies — she was sentenced, at 23, to nine months in a work-release program. That meant working at her mother’s hair salon in Pensacola during the day and spending nights at the county jail, away from her three young children. "When I caught that first charge, it scared me to death," she recalled. "I thought, my God, being away from my kids, this is not what I want. I promised them I would never let it happen again." When Mr. Dickey got out of prison in 1995, she said, she refused to resume their relationship, but she did allow him into her apartment sometimes to see their daughter. One evening, shortly after he had arrived, the police showed up with a search warrant and a ladder. "I didn’t know what they were doing with a ladder in a one-story building," Ms. George said. "They went into a closet and opened a little attic space I’d never seen before and brought down the lockbox. He gave them a key to open it. When I saw what was in it, I was so mad I jumped across the table at him and started hitting him." Mr. Dickey said he had paid her to store the cocaine at her home. At the trial, other defendants said she was present during drug transactions conducted by Mr. Dickey and other dealers she dated, and sometimes delivered cash or crack for her boyfriends. Ms. George denied those accusations, which her lawyer argued were uncorroborated and self-serving. After the jury convicted her of being part of a conspiracy to distribute cocaine, she told the judge at her sentencing: "I just want to say I didn’t do it. I don’t want to be away from my kids." Whatever the truth of the testimony against her, it certainly benefited the other defendants. Providing evidence to the prosecution is one of the few ways to avoid a mandatory sentence. Because the government formally credited the other defendants with "substantial assistance," their sentences were all reduced to less than 15 years. Even though Mr. Dickey was the leader of the enterprise and had a much longer criminal record than Ms. George, he was freed five years ago. Looking back on the case, Judge Vinson said such disparate treatment is unfortunately all too common. The judge, an appointee of President Ronald Reagan who is hardly known for liberalism (last year he ruled that the Obama administration’s entire health care act was unconstitutional), says he still regrets the sentence he had to impose on Ms. George because of a formula dictated by the amount of cocaine in the lockbox and her previous criminal record. "She was not a major participant by any means, but the problem in these cases is that the people who can offer the most help to the government are the most culpable," Judge Vinson said recently. "So they get reduced sentences while the small fry, the little workers who don’t have that information, get the mandatory sentences. "The punishment is supposed to fit the crime, but when a legislative body says this is going to be the sentence no matter what other factors there are, that’s draconian in every sense of the word. Mandatory sentences breed injustice." In the 1980s, stricter penalties for drugs were promoted by Republicans like Mr. Reagan and by urban Democrats worried about the crack epidemic. In the 1990s, both parties supported President Bill Clinton’s anticrime bill, which gave states money to build prisons. Three-strikes laws and other formulas forced judges to impose life without parole, a sentence that was uncommon in the United States before the 1970s. Most other countries do not impose life sentences without parole, and those that do generally reserve it for a few heinous crimes. 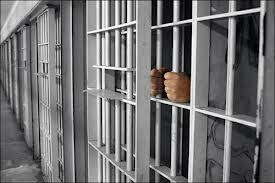 In England, where it is used only for homicides involving an aggravating factor like child abduction, torture or terrorism, a recent study reported that 41 prisoners were serving life terms without parole. In the United States, some 41,000 are. "It is unconscionable that we routinely sentence people like Stephanie George to die in our prisons," said Mary Price, the general counsel of the advocacy group Families Against Mandatory Minimums. "The United States is nearly alone among the nations of the world in abandoning our obligation to rehabilitate such offenders." The utility of such sentences has been challenged repeatedly by criminologists and economists. Given that criminals are not known for meticulous long-term planning, how much more seriously do they take a life sentence versus 20 years, or 10 years versus 2 years? Studies have failed to find consistent evidence that the prospect of a longer sentence acts as a significantly greater deterrent than a shorter sentence. "Mandating long sentences based on the quantities of drugs in someone’s possession just sweeps up low-level couriers and other hired help who are easily replaced," Dr. Caulkins said. "Instead of relying on formulas written by legislators and sentencing commissions, we should let judges and other local officials use discretion to focus on the dealers who cause the most social harm — the ones who are violent, who fight for turf on street corners, who employ children. They’re the ones who should receive long sentences." These changes are starting to be made in places. Sentences for some drug crimes have been eased at the federal level and in states like New York, Kentucky and Texas. Judges in Ohio and South Carolina have been given more sentencing discretion. Californians voted in November to soften their state’s "three strikes" law to focus only on serious or violent third offenses. The use of parole has been expanded in Louisiana and Mississippi. The United States Supreme Court has banned life sentences without parole for juvenile offenders. Nonetheless, the United States, with less than 5 percent of the world’s population, still has nearly a quarter of the world’s prisoners. Ms. George said she could understand the justice of sending her to prison for five years, if only to punish her for her earlier crack-selling offenses. "I’m a real firm believer in karma — what goes around comes around," she said. "I see now how wrong it was to sell drugs to people hooked on something they couldn’t control. I think, what if they took money away from their kids to buy drugs from me? I deserve to pay a price for that. But my whole life? To take me away from my kids forever?" When she was sentenced 15 years ago, her children were 5, 6 and 9. They have been raised by her sister, Wendy Evil, who says it was agonizing to take the children to see their mother in prison. "They would fight to sit on her knee the whole time," she recalled recently during a family dinner at their home in Pensacola. "It’s been so hard for them. Some of the troubles they’ve had are because of their anger at her being gone." The youngest child, William, now 20, dropped out of middle school. The older two, Kendra and Courtney, finished high school but so far have not followed their mother’s advice to go to college. "I don’t want to blame things on my situation, but I think my life would have been a whole lot different if she’d been here," said Courtney, now 25, who has been unemployed for several years. "When I fell off track, she would have pushed me back. She’s way stronger than any of us." Ms. George, who has gotten a college degree in prison, calls the children every Sunday. She pays for the calls, which cost 23 cents a minute, with wages from two jobs: a regular eight-hour shift of data processing that pays 92 cents an hour, supplemented by four hours of overtime work at a call center in the prison that provides 411 directory assistance to phone companies. "I like to stay busy," she said during the interview. "I don’t like to give myself time to think about home. I know how much it hurts my daughter to see her friends doing things with their mothers. My boys are still so angry. I thought after a while it would stop, that they’d move on as they got older and had girlfriends. But it just seems like it gets worse every Mother’s Day and Christmas." She seemed undaunted, even cheerful, during most of the interview at the prison, where she sleeps on a bunk bed in an 11-by-7-foot cell she shares with another inmate. Dressed in the regulation uniform, khaki pants and work boots, she was calm and articulate as she explained her case and the failed efforts to appeal the ruling. At this point lawyers say her only hope seems to be presidential clemency — rarely granted in recent years — yet she said she remained hopeful. She lost her composure only once, while describing the evening in 1996 when the police found the lockbox in her apartment. She had been working in the kitchen, braiding someone’s hair for a little money, while Courtney, then 8, played in the home. He watched the police take her away in handcuffs. "Courtney called out, ‘Mom, you promised you weren’t going to leave us no more,’ " Ms. George recalled, her eyes glistening. "I still hear that voice to this day, and he’s a grown man."